Panasonic LUMIX G80 and G7 compact cameras available for less! If you're making a big purchase, Black Friday is definitely the time to do it. One of the best Black Friday deals on Amazon gets you a massive £154 off a Panasonic LUMIX G80 compact camera, reducing the price from £629 to £474.99. 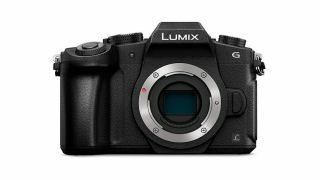 The LUMIX G7 is also available for a more modest discount: £549.99 instead of £599.99 – a still decent saving of £50.99, or 8%. The G80 is a great choice for capturing fantastic images in fast-paced, challenging environments. Dual Image Stabilisation technology helps to correct and compensate your shots to avoid blurry images when shooting on the move, and the camera is rugged enough that you can use it in any weather. The body and lens kit are splash and dust-proof to keep out moisture and grime, so you don't have to stop shooting when things get messy. On top of this, there are some really cool features such as Post Focus, which enables you to take a photo and then touch the area you want to be in focus after the fact. A similar feature, Focus Stacking, lets you select several focus points in the same image – so you can take more time over important decisions. The G80 shoots 4K video, and it enables you to capture the perfect shot in a fast-moving situation by letting you to select frames from video sequences and saving them as images. If filming video is as important to you as taking photos, the LUMIX G7 might be the right choice. It shoots 4K video at 30 frames per second and has Panasonic's Depth from Defocus Auto Focus technology which helps with maintaining focus while filming. It also has the Post Focus features and ability to pull out individual frames from video sequences just like the G80. Whichever one you choose, you're set to make excellent savings if you buy from Amazon this weekend: deal ends on Monday! Save £154: Splash-proof, dust-proof and rugged, the G80 is great for shooting photographs and video out and about. Features include 16MP, 4K video shooting and a three-inch display. Get it now for this bargain price, and hurry, we don't expect these to hang around for long! Save £50.99: The one that takes 30 photos per second. The G7 shoots 4K video and has special technology to improve focus while filming. And right now you can get it for under £550! Bargain.